To date, CASC has recorded a total of 332 acid burn incidents in 23 different provinces dating back to 1964. A total of 415 victims have been recorded as a result of these incidents, with approximately 44% female and 41% male, and 15% of the acid burn survivors were burnt as children under the age of 13 years. 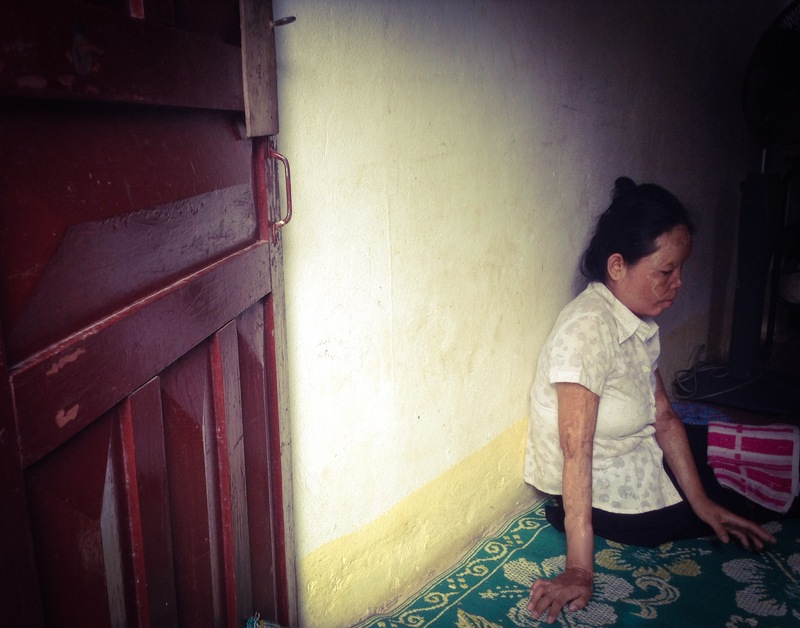 A total of 76% of all acid burn survivors recorded by CASC were the victims of violent attacks with 32% occurring in Kampong Cham and Phnom Penh being the next highest contributor. Most survivors do not know why they were attacked or reported the motive as unknown. A perceived infidelity is the highest reported motive behind acid attacks. In 2009, CASC began working with NGOs, including Cambodian Center for Human Rights (CCHR) and Cambodian League for the Promotion and Defense of Human Rights (LICADHO), to advocate for legal reform and amendments to the penal code for harsher penalties for perpetrators of acid attacks, strengthen government support services for survivors, and the regulation of acid. The Ministry of Interior established a special committee to investigate and draft the legislation. CASC and CCHR provided the committee and other stakeholders with information about the known scope and nature of acid violence in Cambodia along with recommendations through a series of reports including, Breaking the Silence. In November 2011, the Council of Minister approved the Law on the Management of Strong Acid (Acid Law) and the Acid Law was debated and passed before the National Assembly, the Senate, and promulgated by the King in December. The Acid Law was officially enacted as a law and entered into force in January 2012. The Sub-decree N.48 on Formalities and Conditions of Strong Acid (Sub-decree) regarding the regulation, sale, and use of concentrated acid was enacted in January 2013 and operational in July 2013. Since the passage of the Acid Law and Sub-decree, acid attacks have been steadily decreasing in Cambodia. CASC recorded a total of three acid attacks and six survivors in 2013 in comparison to the peak year in 2010 where 20 acid attacks and 36 survivors were recorded. While the passage of this legislation is a significant first step in curbing acid attacks, challenges still remain in survivors achieving justice and receiving government support for medical and psychosocial services. Of the 53 legal cases that CASC has worked on for survivors seeking justice, only eleven have reached a final verdict – which includes the first two sentences under the Acid Law. CASC is currently monitoring the progress of 11 cases and 28 protracted cases. The oldest protracted case dates back to 1997. Progress is stalled on these cases for a range of issues causing survivors to lose hope and confidence in the legal process. Evidence and witness testimony is not properly gathered or is insufficient so the investigation does not proceed. Witnesses are afraid to give testimony out of fear of retribution from the perpetrator or perpetrator’s family. The perpetrator escapes and the police lack the resources to apprehend them. Survivors are not notified of court hearings and perpetrators are not transported from the detention facility so hearings have to be rescheduled resulting in further delays. There is limited number of legal aid lawyers in Cambodia so consequently the lawyers representing survivors are managing large caseloads. Police, health and legal service providers, and the judiciary have little awareness of the Acid Law and Sub-decree and lack the appropriate training to be able to implement, enforce, and apply the legislation. Given the long road to recovery, survivors need long-term support to help them physically and emotionally heal and reintegrate back into society. The government has done little to establish such programs and support for medical and psychosocial services for survivors as outlined in Articles 11 and 12 of the Acid Law. Survivors still rely heavily on the NGOs to provide these needed services free-of-charge. In January, CASC reduced its services due to the decrease in new cases. It is vital, now more than ever, that the Royal Government of Cambodia (RGC) increases support to survivors and funding for such services through the Ministry of Health and Ministry of Social Affairs, Veterans and Youth Rehabilitation as mandated in the Acid Law. It is also crucial that concentrated acid is strictly regulated to prevent further attacks through the proper enforcement of the Sub-decree. Acid vendors and professionals who handle acid are unaware of the Sub-decree and it remains unclear which of the six government ministries listed on the Sub-decree is responsible for its enforcement. The RGC should determine a plan of action for implementing the law and for raising awareness about the provisions in the Sub-decree to acid vendors and appropriate authorities. For acid violence to be eliminated in Cambodia, survivors to achieve justice and receive the vital support needed for them to heal, it is critical that the Acid Law and Sub-decree are effectively implemented and enforced. This entry was posted in Acid Violence and tagged acid attacks, Acid Law, acid violence, Cambodia, Cambodian Acid Survivors Charity, CASC, Law on the Management of Strong Acid by Cambodian Center for Human Rights. Bookmark the permalink.